According to Schwinn, owning the 430 is akin to having your own workout coach right there in the room with you, inspiring you, driving you on. Well is it? Read our in depth review of the 430 to find out. The Schwinn 430 Elliptical trainer resembles a fusion of an exercise bike and a stair stepper, but it is actually a very specific device. Like most elliptical machines, regular and proper use of the device will increase your energy levels, increase cardiovascular fitness, improve the lower body strength and lower body fat levels. However, like all exercise equipment, it does nothing if used sparingly. Here’s some info about Schwinn followed by a visual look at the machine, followed by some in-depth analysis of this elliptical machine, and at the end you will find a comparison of the 430 against other ellipticals Schwinn has to offer namely the 470, 520 & the A40. 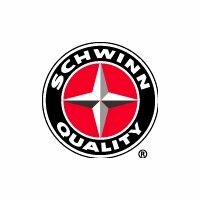 Schwinn® are a well established American brand with a longstanding 100 years of service to the health & fitness industry behind them. Not many manufacturers in the sports world today can compete with that. In 2013 they brought out a new cardio line consisting of exercise machines designed for home use. They developed a new range of ellipticals and recumbent bikes. New things evolved in the Schwinn brand like the upgraded LCD display featuring the Schwinn DualTrack™ console with goal tracking now available. This 2 window system allow you to easily track all your vital stats (up to 13) and declutters the basic nature of the console. Next came the ability to upload these stats (you save first by plugging usb into console) to workout trackers like the in-house SchwinnConnect™ or even calorie tracker MyFitnessPal.com website. Then you can chart your progress throughout the year. You can also charge your phone or any other electronic device that has a usb connection. -22 workout apps including 4 beginner modes. Can store 2 user profiles. 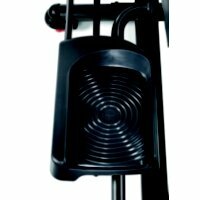 -Precision engineered high inertia, custom weighted flywheel works to keeps motion fluid, smooth and extremely quiet. -Bid sound courtesy of acoustic sealed chamber speakers. Fill the room with sound if you don’t like headphones. It should also be noted that the machine has a maximum user of weight of 300 pounds (136 kilograms), and users over this weight should not be using this equipment. Ideally the machine’s user is no more than a 275 pounds (124 kilograms), but the machine can strain itself to support up to 300 pounds. 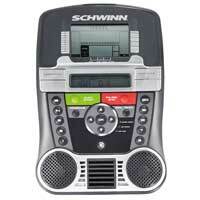 Luckily the Schwinn 430 Elliptical comes with an array of features to get you going. Its main feature is a computer console with a liquid crystal display (LCD) that allows the user to choose from a variety of workout programs with a number of variations depending on what the user most needs out of their work out. In terms of actual exercise, the console’s main use is adjusting the resistance of your work out, ranging from the very low and easy to a workout so challenging that it will push you to your limit. It exists on a sliding scale that increases or decreases the machine’s resistance as you see fit. It can also keep time for you, allowing you to set a time for your work out to last and then count it as you work out. The device can also measure your time in intervals, letting you exercise at a specific resistance for a set period of time before going to another resistance for another set period of time. This is perfect for warming up so as not to overexert your body too quickly. The machine’s computer also comes with six preset profile programs of varying resistances and time intervals. If burning calories is your goal, the console also allows you to set how many calories you wish to burn with your work out, from 10 all the way up to 990. While extenuating circumstances may alter your actual results, the machine by and large does know how to estimate how many calories you’ve burned. This option has its uses, though it is advised to only use it occasionally to burn off a periodic upsurge in calories in your diet. The console can also display information about your work out and your body, from how far you’ve walked to your heart rate to how quickly your heart rate comes from being strained by exercise to being at rest again. However, all this information is not nearly detailed enough for medical purposes, and consulting a physician to determine how much you should exercise and how intensely is a better idea than simply hopping on the device and going wild. 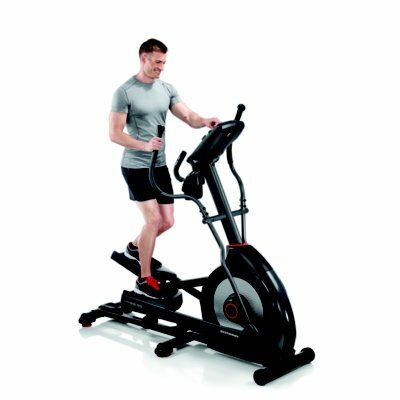 The Schwinn 430 Elliptical is ergonomically built to minimize strain on the user’s skeletal system. The entire device is built to ensure that each point of contact between the user and the machine is as perfectly aligned for healthy and ergonomic a body position as possible. Naturally, this also makes using the device far more comfortable. It also includes mechanical linkages to the foot pedals to ease the movement of the feet during the machine’s use. It weighs over 200 pounds and has dimensions of about 6 feet by 2 feet by 6 feet when assembled, meaning it will fit in all but the most cramped home gyms. It also requires a power plug as it does involve heavy use of electronics, but it also includes a USB charger for powering the devices that keep you entertained as you work out. The machine also includes acoustic chamber speakers should you wish to play digital sounds at a more engulfing volume than you would out of your earphones or headphone. A high speed, high inertia perimeter weighted fly wheel will also help ensure that your work outs are as smooth as possible, as well as quiet as possible. While it lacks a power incline, the Schwinn 430 elliptical has a maximum stride length of 20 inches and a 10 inch manual ramp range with six positions. The footplates are also built for the user’s long term comfort. The device has transport wheels that allow you to move the elliptical from room to room, though some customers have found that this is more difficult than it sounds. 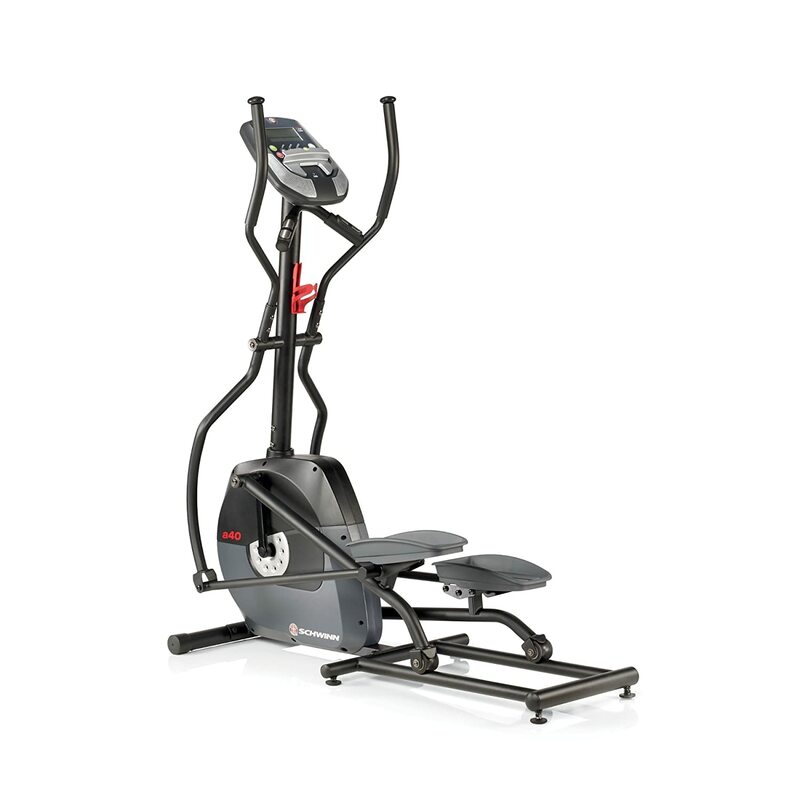 The 430 Elliptical has a multi-tiered warranty, like most exercise devices on the market these days. The frame of the device is covered for ten years. However, this is a bit redundant as the frame is solid steel and unlikely to be terribly damage by home use. The more vulnerable mechanical parts are covered for only two years, which you are more likely to need repaired than the solid steel frame. The even more vulnerable electronic components are covered for only a year. These parts are more likely to be damaged as they are more fragile, and further, the machine is built to require them. It also includes a 90 day warranty on labor. However, the warranty is voided if someone over the machine’s maximum weight is found to be the user. Thus, anyone owning this machine who weighs over 300 pounds is considered to have voided the warranty. If you weigh over 300 pounds, this machine is definitely a bad investment. 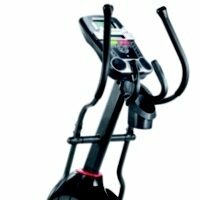 The price of the Schwinn 430 Elliptical machine is highly variable. It’s an older model by two years circa 2016, and while it once sold for around 1000 United States dollars, this price has greatly dropped to around 600 dollars from most vendors; conversely, some vendors are charging over 1000 dollars for the same device, so it will probably pay off big time to shop around. However, as an older model, it is a bit harder to find on the open market and will not be for sale forever. It can also be found used for even cheaper if you’re willing to dig around specialty websites or places like Ebay or Amazon. Still, at 600 dollars, this is still a fairly major investment for any home. With all this information, there’s one important question left. Namely, is the Schwinn 430 Elliptical machine worth the cost you’ll end up paying for it? Which means that before you can answer whether or not it’s worth the price, you’ll have to answer what you’re hoping to get out of the purchase. If what you’re looking for is a solid machine that will help you get your cardiovascular work out, then it’s certainly a good contender. It offers a huge variety of features, and can easily become the primary cardio machine for your home gym. It can even be a decent machine to help you lose weight, though as stated you should avoid this machine if you weigh 300 pounds or more. A good way to make a more informed decision is to check out the various Amazon reviews. Right now, there are over 300 reviews on Amazon, and 49% of them are 5 stars. That’s a huge number of 5 star reviews, more than many other elliptical machines that you can find on that site. This means that nearly half of all the people who purchased a Schwinn 430 Elliptical machine were not only satisfied with the purchase, but found that the machine was as high quality as it could possibly be. Adding together the 5 and the 4 star reviews find that 75% of the people who purchased this machine found that it exceeded their expectations. This is a good sign. 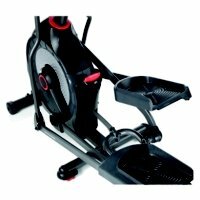 It means that if you’re looking for a solid, durable machine, then the Schwinn 430 Elliptical machine is a great choice. The 90 day warranty means that you won’t have to worry about what happens if something breaks down soon after purchase. You can rest comfortably in the knowledge that you’ll get a great work out out of this machine. That said, you should be aware of the electricity usage. 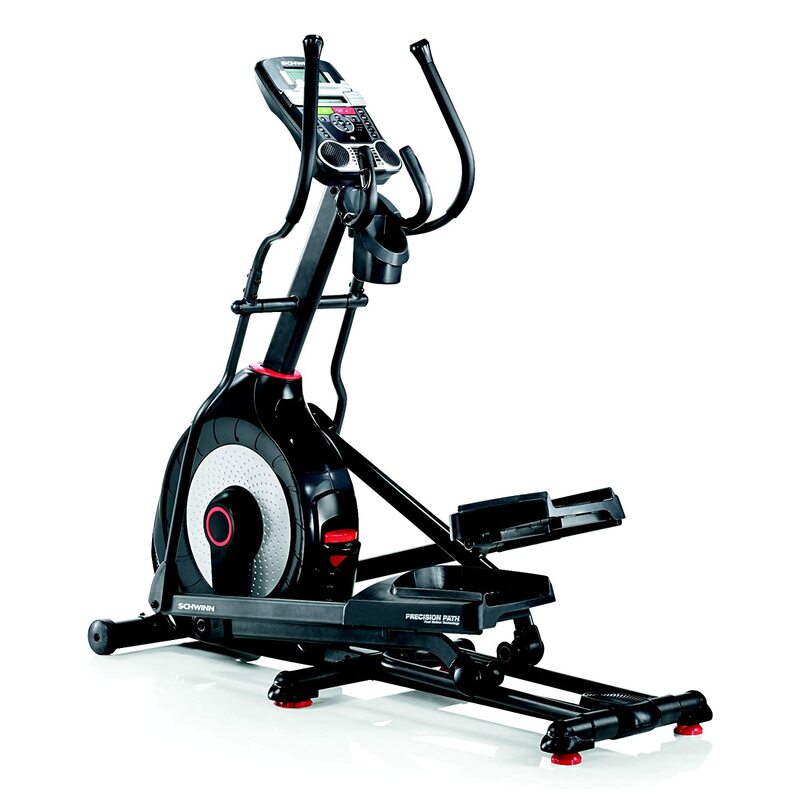 The Schwinn 430 Elliptical machine is a machine that uses a huge amount of electricity. This means that your work out is going to have an impact on your electricity bill. That can be a bit rough, especially if you’re the kind of person who gets a cardio workout in on a daily basis. It gets even harder if you plug various USB devices into the machine. If you’re the sort of person who finds that they need such an entertainment device, you should be aware of that possibility. The other problem is that, as an older machine, it will soon become difficult to find replacement parts should the machine break down. And the machine will break down at some point, all machines do. You can stave off this break down by making sure you perform proper maintenance, making sure that the various gears are properly oiled and greased, ensuring that the treads are properly cleaned, and not putting any more impact or weight on the machine than absolutely necessary. If you’re willing to do those things, you can make certain that your Schwinn 430 Elliptical machine lasts for quite some time. However, quite some time is not forever. So be aware that by choosing to purchase an older machine, you’ll have to be concerned about finding replacement parts in the future. Not only that, but there may be a newer machine that has more features, and that machine may meet your needs better. Of course, that machine may also wind up being much more expensive, and that expense must be weighed against the features you get. Lastly, you should be careful not to be taken in by the number of features the Schwinn 430 Elliptical machine possesses. More features sounds great, but if you don’t need those features than all you’re doing is spending money that you don’t need to spend. So before you buy, make absolutely certain you’ve taken stock of what features you need and want. 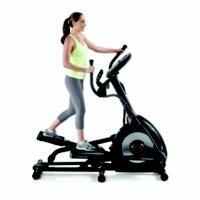 If you find that you likely won’t use some of the features of the Schwinn 430 Elliptical machine, then it may be a better idea to find a less expensive machine with fewer features. However, if the features you need are the ones that the Schwinn 430 Elliptical machine offers, then it’s a great machine to choose. Very few people who’ve purchased this machine have been disappointed, and since it’s a bit of an older machine, you can find them at a great price.